The Ekiti state governor is not a stranger to hogging news headlines; In fact, he seems to revel in it. 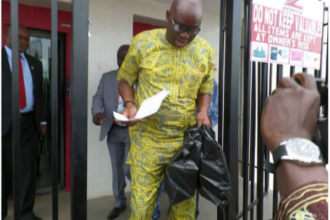 At the swearing in of the new executives for the Ekiti chapter of the Road Transport Employers Association, Mr. Fayose made a shocking confession. He reminded drivers of the need to respect the laws and be law abiding as they carried out their activities.